The U.S. House of Representatives by voice vote yesterday passed the Foreign Cultural Exchange Jurisdictional Immunity Clarification Act (FCEJICA). The legislation seeks to protect foreign artwork on loan to American museums by clarifying a part of the Foreign Sovereign Immunities Act (FSIA). The legislation was introduced by Judiciary Committee member Rep. Steve Chabot (R-OH) on February 24 and co-sponsored by Rep. John Conyers (D-MI), Rep. Lamar Smith (R-TX), and Rep. Steve Cohen (D-TX). Their intent is to have a law that encourages more foreign lending of art to America without the fear of lawsuits. Under the current federal statute known as Immunity from Seizure Under Judicial Process of Cultural Objects Imported for Temporary Exhibition or Display (the Immunity from Seizure Act (IFSA), 22 U.S.C. § 2459), foreign lenders are encouraged to lend cultural objects to museums in the United States without risk that those objects will become targets of litigation while on American soil. The statute protects imported objects determined by the State Department to be (1) of cultural significance, (2) intended for temporary, nonprofit exhibition, and (3) in the national interest. Museums importing objects into the U.S. for temporary display must apply for this legal protection. The notice of immunity is then published in the Federal Register. By way of example, in the 2005 case of Malewicz v. City of Amsterdam the heirs of Kazimir Malevich sued Amsterdam in federal court in Washington, DC to either recover artworks that the city’s Stedelijk Museum loaned to American museums or to acquire $150 million in damages. The heirs claimed that the foreign museum unlawfully obtained the paintings. Amsterdam argued that the Immunity from Seizure Act protected it from a lawsuit, but the federal district court ruled that Amsterdam had engaged in “commercial activity” under the FSIA by loaning the art to American institutions. While IFSA may protect artwork from seizure, the FSIA did not protect Amsterdam from related damages said the court. So the lawsuit moved forward. The bill adds that art stolen by the Nazis shall not be protected from legal claims filed in federal court. A House report attached to the bill notes that "the intent of IFSA is being frustrated by the Foreign Sovereign Immunities Act (FSIA). 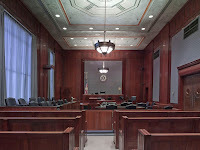 Recent court decisions have interpreted a provision of FSIA in a manner that opens foreign governments up to the jurisdiction of U.S. courts if foreign government-owned artwork is present in the United States in connection with a commercial activity and there is a claim that the artwork was taken in violation of international law." The report adds: "This has led, in many instances, to foreign governments declining to export artwork and cultural objects to the United States for temporary exhibition or display. Future cultural exchanges may be seriously curtailed by foreign lenders' unwillingness to permit their artwork and other cultural objects to travel to the United States. In order to keep the exchange of foreign government-owned cultural objects flowing, this legislation clarifies the relationship between the immunity provided by IFSA and the exceptions to sovereign immunity provided for in FSIA." The Congressional Budget Office reported that enactment of the legislation "would have no significant impact on the federal budget." This link contains a video of Judiciary Committee Chairman Rep. Lamar Smith's remarks on the floor of the House.